Son of Larry Adler, the US jazz harmonica player. 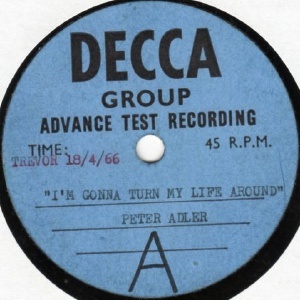 Peter Adler was studying at Trinity College Dublin when he became a member of Bluesville, playing saxophone. He assumed the lead singer role while Ian Whitcomb was on the promo circuit in America in 1965, much to the latters displeasure. 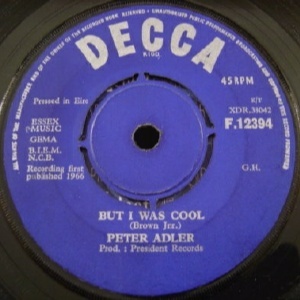 He joined The Action in 1966 but soon left them for The Next In Line, who backed him on his second solo single. His first solo single resulted from his friendship with Michael Chaplin, son of Charlie Chaplin. Chaplin recorded a solo single "I Am What I Am" b/w "Restless" in 1965 which featured Adler on harmonica. 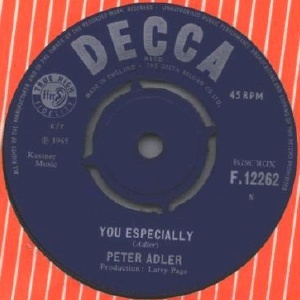 It was produced by Larry Page who immediately spotted Adler's talent and commissioned him to write a second single "Love And Not Hate" which became Adler's solo debut. Released in October 1965, it consists of two heavily orchestrated 60s pop ballads and is not worth tracking down. Adler's second solo single is worth tracking down. 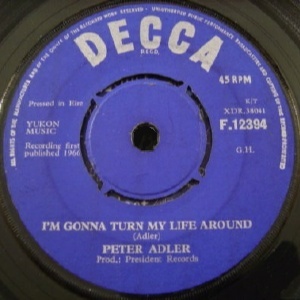 The A-side "I'm Gonna Turn My Life Around" was written by Adler and has been described as a "blue-eyed soul mod banger"! It's streets ahead of the debut. The B-side is a decent cover of Oscar Brown's "But I Was Cool". 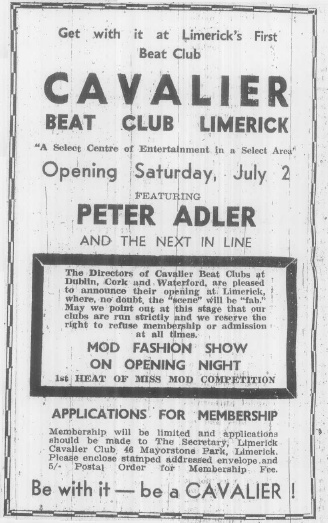 Peter Adler & the Next In Line opening the Cavalier Club in Limerick, Saturday 2 July 1966. Both sides written by Adler and produced by Larry Page. 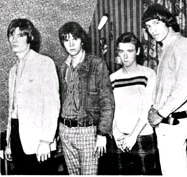 The Next In Line were a London mod/soul band influenced by The Who, Small Faces, Kinks and Tamla Motown who were based in Ireland for a short period. They lived in a flat in Harcourt Street in Dublin above The Green Tureen restaurant, directly opposite The Five Club. 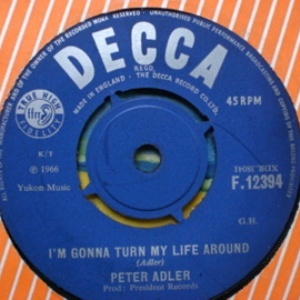 Peter Adler (ex Bluesville, The Action) joined the band in Feburary 1966 and the Next In Line backed him on his 1966 solo single "I'm Gonna Turn My Life Around". The Next In Line supported headlining acts from the UK in Dublin such as The Hollies (National Stadium, 3 March 1966) and The Who (National Stadium 7 May 1966). They split from Adler circa May 1966 and Bojang left the band around the same time. Their final Irish date was in Belfast in September 1966. They split soon afterwards with Max Ker-Seymer going on to join A Wild Uncertainity.